Actress Angelina Jolie made her first public appearance since her double mastectomy at the premiere of Brad Pitt's new movie 'World War Z' Monday. The only strange hitch in her triumphant return to the red carpet? Jolie actually missed her aunt's funeral (who just died of breast cancer) in order to attend. Previously, Jolie's uncle told E! News that he and his wife were "very proud" of Jolie's decision to have a mastectomy in order to "keep her family from having to go through what we've been through." On the red carpet, Jolie appeared jovial and was clad in a relatively conservative long black dress. 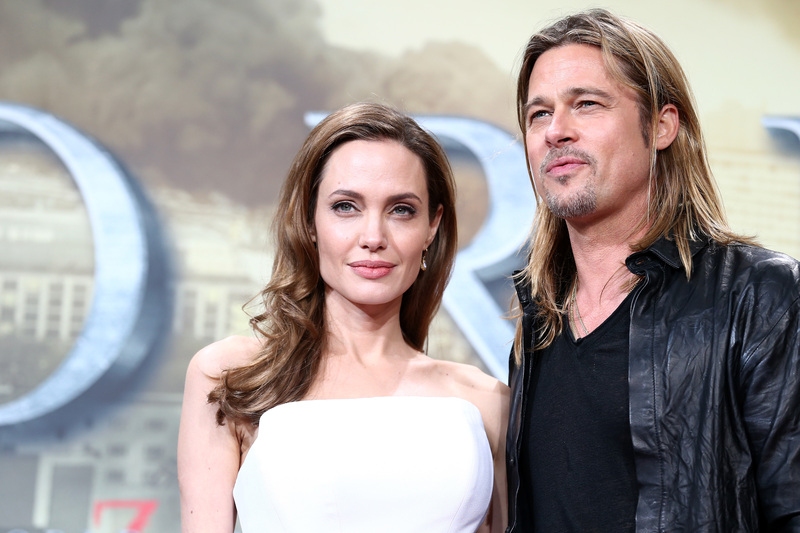 While Jolie told reporters that she was at there "for Brad," most of the talk turned to his feelings about her decision, which he continued to make clear. "That's who I fell in love with from the very beginning," Pitt said at the premiere. "The person that you see now is the person that I've always known and she's heroic and incredibly strong and will attack any problem head-on and make it work." While it certainly appears that the Angelina just made a hot-hubby-trumps-deceased-aunt call, team Jolie here at Bustle brings up the valid point that her family may have asked her not to attend the funeral due to potential paparazzi mayhem.